RESA® is a 501 (c) (6) tax-exempt organization, the trade association for professional home stagers. 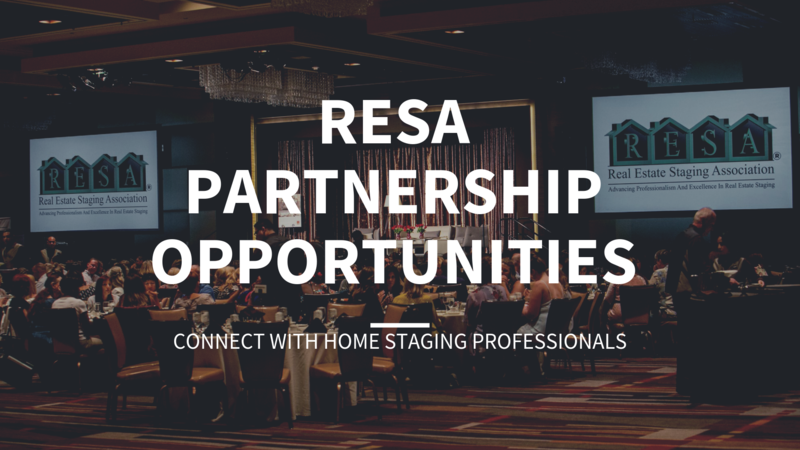 RESA® is the portal to the staging industry and is the source of education and business tools focusing on the needs of stagers. RESA welcomes all stagers. RESACON is the real estate staging industry’s largest annual event. Real estate stagers from all over make their way annually to RESACON. Grow your business, become more efficient and become more connected by learning from industry leaders. Whether you are a new stager, mid-way through your career or a seasoned stager this is the one event you do not want to miss. Due to high demand RESA has created two new events that will allow RESA to promote your company to more stagers, at different locations. Space is limited and on a first commit basis. Join The RESA Buying Group Risk Free! RESA Members the RBG is INCLUDED in your RESA membership. 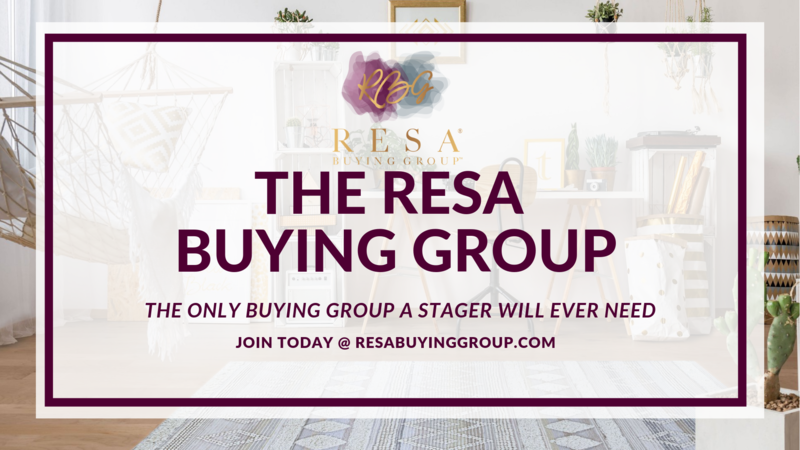 For the stager whose business model is buying inventory wholesale, the RESA Buying Group prices will increase your bottom line. 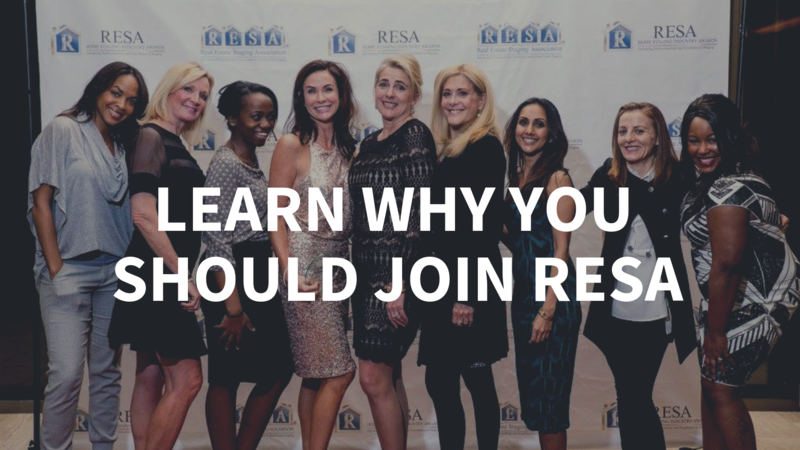 The RESA Buying Group uses the collective purchasing power of our members to negotiate lower prices and special offers than members receive on their own. SRM works to provide solutions to risk issues in the real estate staging industry. With its partners, Staging Risk Management (SRM) identifies, analyzes and develops a potential solution to the problems of theft, vandalism, and other losses that can occur when property is staged. We provide a way to manage those potential risks by protecting the stager's cost of doing business due to unforeseen expenses or an increase in direct insurance costs due to submitted claims. 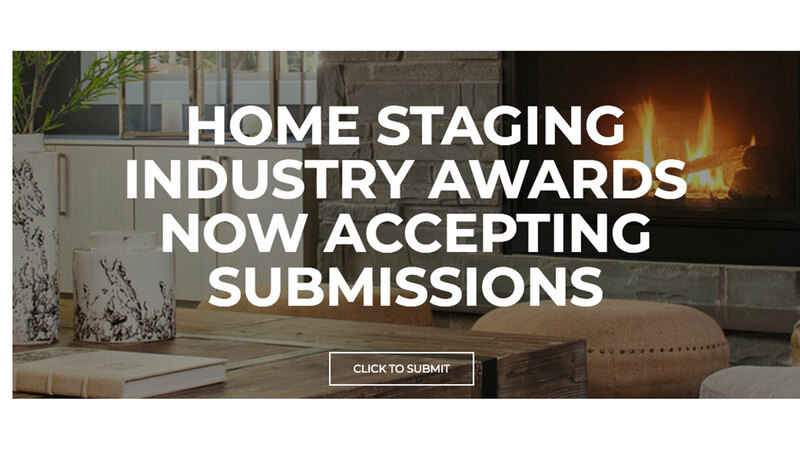 The RESA® Home Staging Industry Awards are the leading awards honoring real estate staging mastery. Established in 2008, each year top producing stagers are recognized for their professional excellence and superior skills in the art of home staging and re-design. Adjusting to substantial industry growth, RESA also honors home staging related professionals who have contributed to the industry.